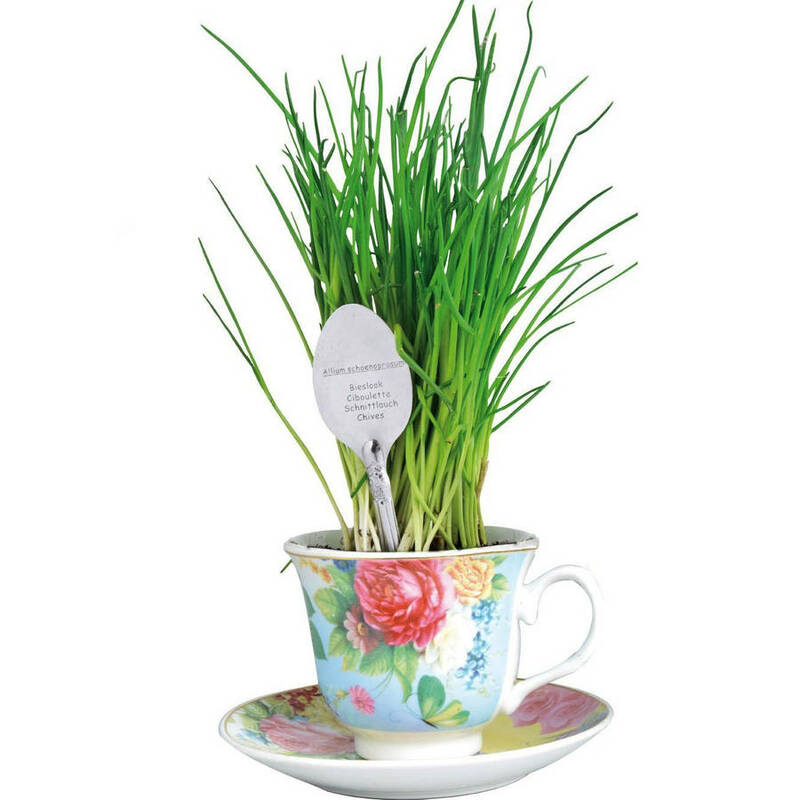 The cup and saucer (made from china with a pretty floral design) comes with a metal spoon shaped plant marker and chive seeds. Helpfully, the china cup has a pre-drilled drainage hole so the saucer catches any excess water. PS Not a fan of chives? Garden Selections do parsley and basil ones too!